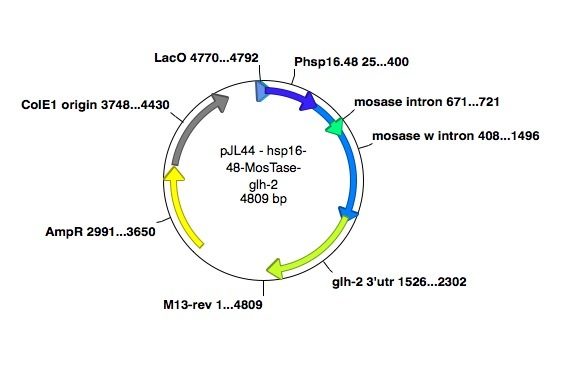 This plasmid was made by Dr. Jean Louis Bessereau and described in the publication: Bessereau JL, Wright A, Williams DC, Schuske K, Davis MW, Jorgensen EM. 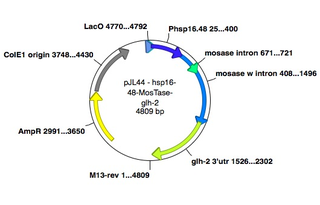 There is che-1 sequence in the plasmid. 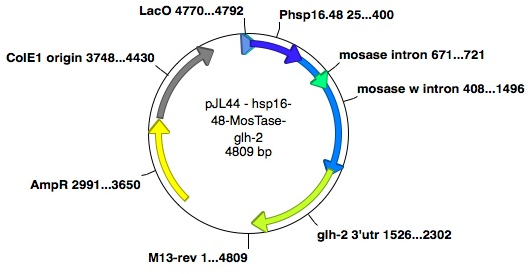 It comes from the glh-2 3' UTR fragment in the plasmid. The UTR fragment extends into the 3' region of the che-1 gene, which is tail to tail with glh-2 on the chromosome. This is only the last exon of che-1 and it is not relevant to the function of the construct.